Re.New Event a ‘Swishing Success’! > Re.New Event a ‘Swishing Success’! We were delighted to host our first ‘Swish’ event in partnership with Mumma&more on Saturday 2nd February at the Star Throwers Centre. 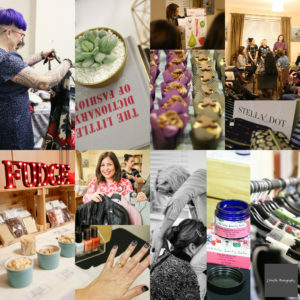 We welcomed over 60 people who took part in the clothes ‘swish’, listened to inspirational talks, experienced some relaxing therapies and enjoyed tasty treats! 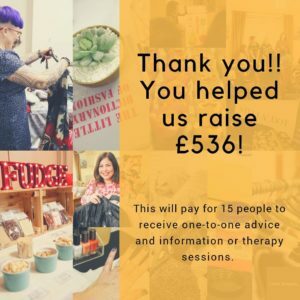 The event raised a fantastic £536 which will pay for 15 people to have one-to-one advice and information or complementary therapy sessions.